Marko Grujic is one of Liverpool’s standout loanees this season, with his progress at Hertha Berlin putting him in a great position for a first-team role at Anfield. The Serbian was Jurgen Klopp‘s first signing as Reds manager, but has so far played just 14 competitive games for the club; only three of those as a starter. 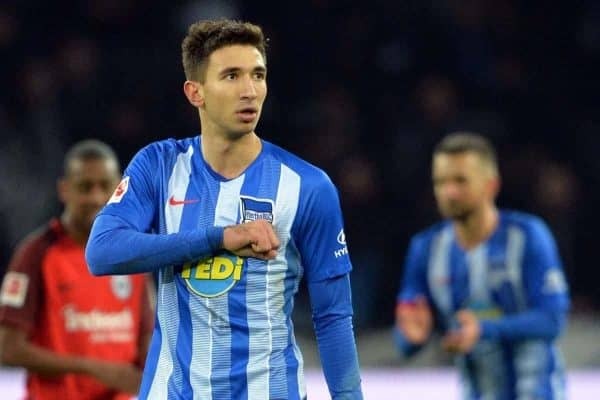 Instead, Grujic has spent the majority of his time on the books at Liverpool on loan, first returning to Red Star for the second half of 2015/16, then with Cardiff at the beginning of 2018 and now at Hertha. His first full-season loan, the 22-year-old is really making his mark in Berlin, with manager Pal Dardai regularly lavishing praise on a midfielder who has suffered defeat just twice in 12 appearances. Hertha are already working on an extension to the deal, eager to tie him down for a further season, but the indication is that his future remains on Merseyside. But how is his time at Hertha preparing him for life under Klopp? 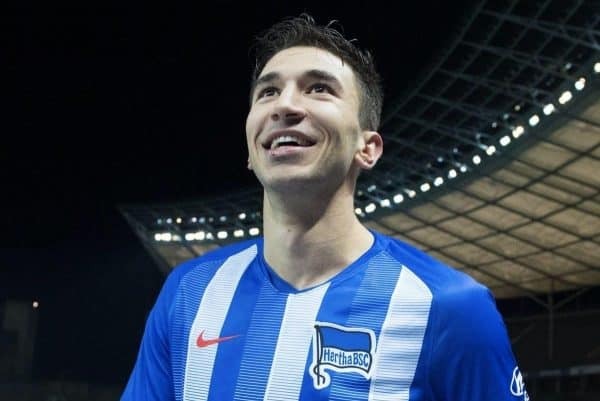 We spoke to Berlin-based journalist Asbjørn Slettemark (@Asbjorn1975), co-host of the Dritte Halbzeit podcast and a season-ticket holder in Hertha’s Ostkurve, to get the lowdown on Grujic’s loan. 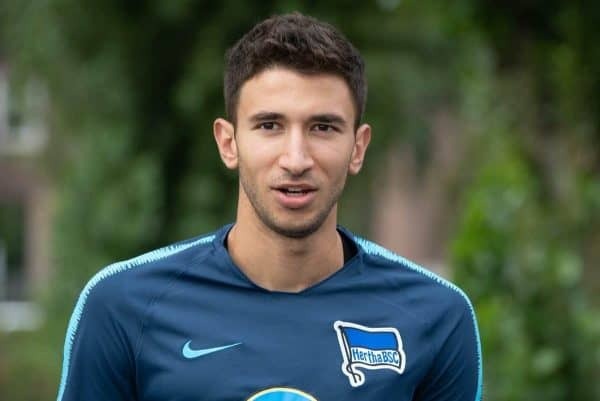 Pal Dardai called Grujic “by far the best midfielder I’ve seen in my time at the club” – has he really been that good, and important, for Hertha? If you look at the stats, it’s pretty obvious that he’s made an impact for Hertha. With him in the team, Hertha has won seven, drawn four and lost one in the Bundesliga this season. Without him the team has one win, four draws and five losses. 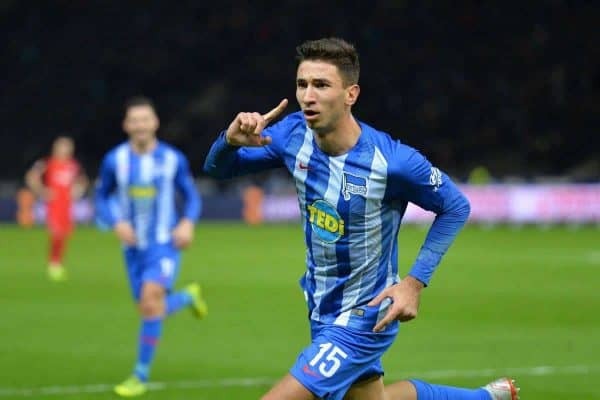 Grujic has been a very important player for Dardai as the coach has been shaping the ‘new Hertha’, with new formations and more audience-friendly, attacking football. Dardai loves a good counter-attack or five, and Grujic is excellent at both starting and following up fast counter-attacks. This quality been obvious in several of Hertha’s best goals this season, for example the equaliser against Schalke in January. How about that for an assist? Grujic got the ball outside Hertha’s own box, moved quick up the pitch, passed to Arne Maier, who took the ball and passed to Ondrej Duda, who flicked with his heel back to Grujic. Within eight seconds, Grujic was already inside Schalke’s box, and thanks to his excellent run had an easy job netting the goal. For Liverpool supporters the only disappointment might be that he celebrated like Ronaldo, but the attack itself was beautifully executed from start to finish. 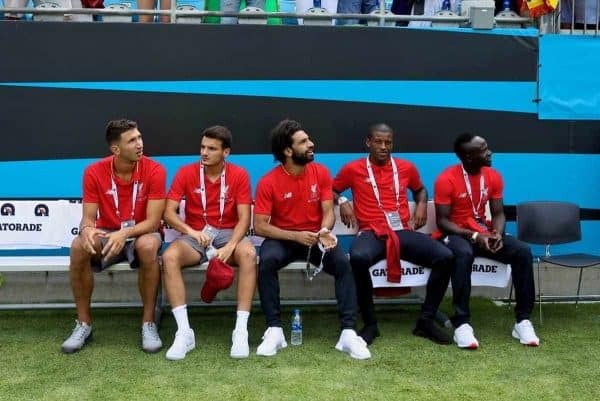 It was a great display of what Grujic has added to the team. He has been described by Fabian Lustenberger as “a complete player,” but what role has Grujic been playing? I think Lustenberger also pretty much describes the role Dardai makes Grujic play for Hertha: he has been very involved both in defence and attack. Grujic is positioned fairly deep in the midfield to make use of his long legs and ball-snatching qualities, but he’s also initiating fast counter-attacks. He moves the ball fast, controls and defends it well, tackles hard and fair (three yellow cards in 12 Bundesliga games) and his passing is accurate and sometimes exquisite. At his highest level—like when Hertha beat Borussia Monchengladbach earlier in February, after the hosts had won 12 home games in a row—Grujic is a top international midfielder. He can also stand out and make decisive goals, like when he scored the only goal in the game against this season’s big Bundesliga surprise Eintracht Frankfurt. After that game I said enthusiastically on our podcast Dritte Halbzeit that he passes like his shirt had Scholes printed on it and tackles like he was brought up by Busquets and Alonso. At his best, he is that good. Is there anything missing from his game? I see two weaknesses. First: sometimes his concentration slips in defending. For example against Schalke, where both goals could have been avoided by better defending in the area between defence and midfield. I’m not saying there were direct mistakes made by Grujic, but after the praise Dardai has given him, one might expect a future international superstar midfielder to help the team avoid at least one of those goals. Also, Grujic does seem prone to injuries. This season he’s been out twice, first for seven Bundesliga games then for three, both times with ankle injuries. Maybe it’s coincidental, but worst case it’s because he’s easily injured. Looking to his future, do you think he’s good enough for Liverpool? Yes, Grujic could be good enough for a spot in a rotating first XI if he stays injury free and continues to tighten and improve his game. He’s proven himself in the Bundesliga. Many thanks to Asbjørn Slettemark to his excellent contribution. Follow him on Twitter @Asbjorn1975.